KCCU is a service of Cameron University. An NPR affiliate, “Your Public Radio Station” serves western, southwest, and south-central Oklahoma, and upper north Texas. 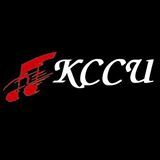 KCCU satisfies our listeners and serves our community by providing engaging and stimulating information, entertainment, and music programs of the highest quality. KCCU signed on the air in July, 1989, after a four-year wait to receive a Federal Communications Commission construction permit. The establishment of a public or educational radio station in Lawton had been a priority of several citizens and Cameron University administrators for many years. Notes have been traced back to files as early as the 1970’s. It was decided that it was too expensive and the idea was tabled. In 1985, Dr. Don Davis, President of Cameron University, Dr. Jack Bowman, Dean of the Fine Arts Department, and Tony Allison, Chairman of the Communications Area of the Fine Arts Department, decided to hire a broadcast instructor. The instructor would be given the task of building a broadcast program and establishing a public or educational radio station to serve Lawton. Mark Norman was hired in 1985 as an instructor/director of broadcasting. A series of broadcast courses was developed, and the establishment of a radio station was placed into motion.